Dang I am just so entranced by the art of the mash. Yeah there is some average crap, but when it is done well it is something wicked this way coming. A heads up and heartfelt thumbs up to Go home productions and Mark Vidler. It is fabulous stuff, and is all currently available for download. Some of my favourite tracks are his “Too Busy Thinking About The Angry Mob” and “Pinochiohead On LSD”. Am I Undone by DJ Clivester. Erasure/Fat boy Slim/Korn. Relentless and funky fresh. 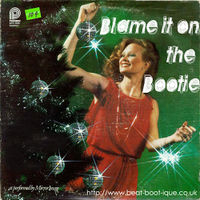 1,2, Sirens, u – DJ Useo vs Celebrity Murder Circus (from Blame it on the Bootie). Dizzee Rascal on a whole new swing. When the Pussycat dolls cry. Yes it is Prince and the Dolls, such a logical combo. We know he likes the laydees. Courtesy of Pheugoo. and for a mellow finale White Clocks – Coldplay, Kraftwerk mindmeld with Duran Duran’s version of “White Lines”. DJ Clivester.